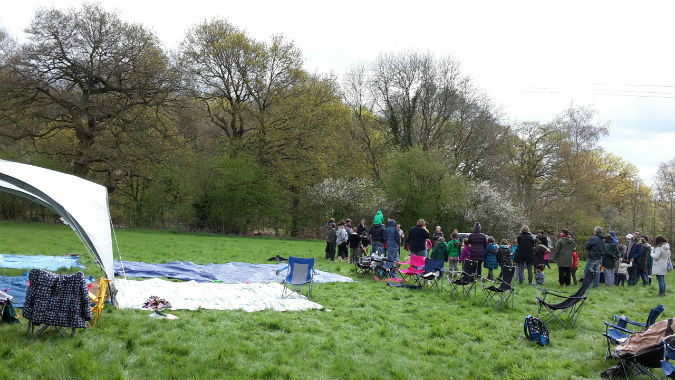 In April we hosted the Regional Elfin Day at Sarrat and invited Elfins from different groups to come together for a fun-packed day. Thanks to everyone who took part. A host of exciting activities was organised. 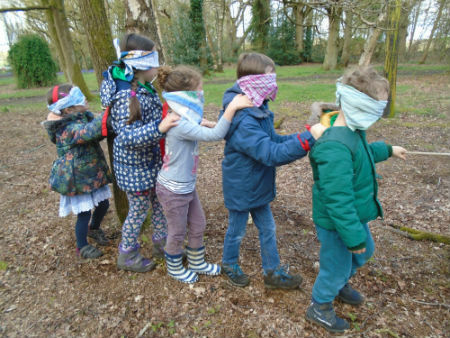 The children loved the mud faces – who doesn’t love to get muddy? Whoever thought to bring gloves was a genius as this saved hours of hand washing. 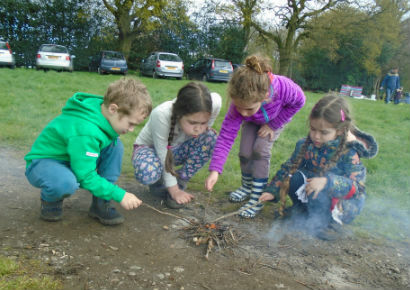 Firelighting was a real treat where the children worked in teams to light branches and keep them alight. All safely supervised of course. 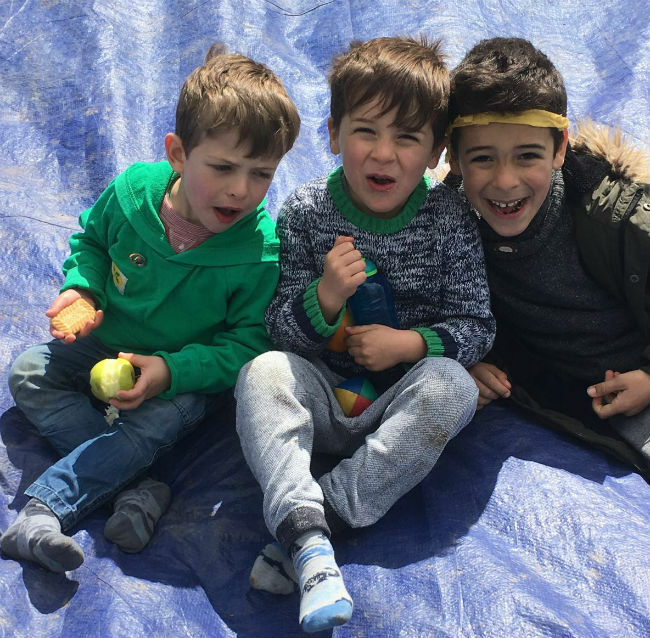 We love the campsite at Sarrat as it has a fabulous play platform that doubles as a house/shop with fabulous views over the valley. The children love climbing the trees around the play platform. 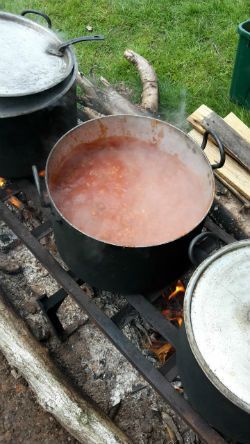 The Epic Elfin parents cooked for the first time and produced a delicious bean and sausage casserole cooked over an open fire served with cheese sandwiches and Swiss Roll for dessert (or Swish Roll as it will now be called thanks to Jo! ).